Party to end patriarchy: I need your help! 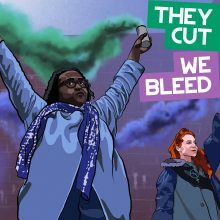 ‘They Cut We Bleed’ single premier! New single announcement: Terminal 4!